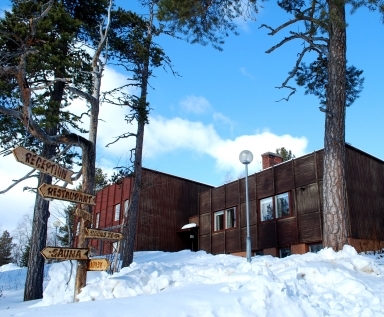 Located in a small reindeer herding village, Korpikartano is situated in the Sami heartland. Set on the edge of Lake Menesjärvi and in the stunning surrounds of Lemmonjoki National Park, this former school has been converted into a haven for those wanting an unpretentious and authentic taste of Finnish Lapland. Delve into the life of a Sami herder, visit Siida, the Sami Museum and go in search of the mighty spectacle that is the Aurora Borealis. Fly into Ivalo (via Helsinki). Transfer to Korpikartano, where a warm welcome awaits from your hosts, Anne and Timo, along with a hearty evening meal in the former school gym. After breakfast,a local reindeer herder will take you in search of his herd via snowmobile sled. Once found, feed and observe these animals in their natural habitat. Tall tales and coffee are served in the remote surroundings around an open fire. Return to Korpikartano for lunch. Your afternoon is free to enjoy snow fun activities such as kick sledding, snow shoeing or tobogganing. Alternatively, choose one of the additional excursions detailed opposite. Later that afternoon there is an hour Aurora photography workshop and, after dinner, you will venture out on a guided snow shoe trek into the wilderness. Timo is on hand to offer further photography assistance in capturing the Arctic sky and hopefully the Aurora. landscape as you slip silently through the forest and across frozen lakes. After this thrilling adventure, visit Siida, the Sami Museum, a fascinating interactive exhibition of Sami history and culture. Lunch at the museum (own expense). 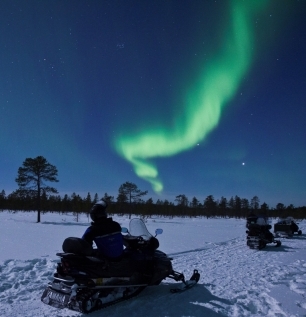 Later, after dinner and instruction, head out (in pairs) on a guided snowmobile mission into the Lappish nature and a final opportunity to observe the Aurora. Enjoy a final hearty breakfast before returning to the airport for your flight home (via Helsinki). 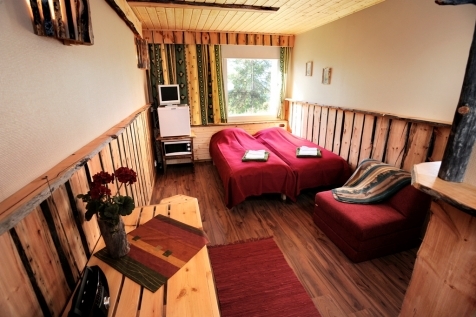 Korpikartano offers a selection of simple yet cosy hotel rooms and apartments. On-site is a restaurant where menus are based on local produce and using hand-picked products such as berries and mushrooms. Enjoy the lake-side Lappish kota with open fire. For a special treat try the wood burning lake-side sauna and hot tub. For the brave there is always the lake! 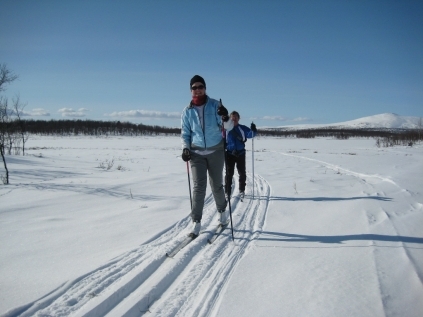 Under guidance, master the art of cross country skiing. 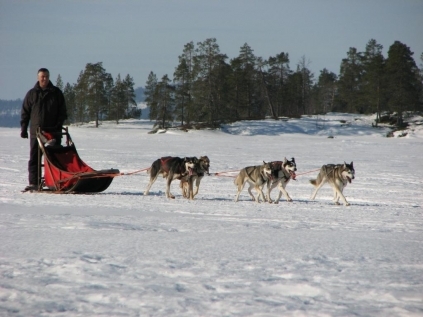 Drive (in pairs) by snowmobile to the nearby lakes of Menesjärvi or Kuivajärvi, where you will learn the secrets of winter fishing.